Pictured: Drew Flood from Aware (left) and Brian Donaldson, CEO, Maxol. Great support and generosity from Maxol’s customers in the run up to Christmas resulted in a whopping €62,000 raised for the charity Aware bringing the total funds raised by Maxol to €120,000 for 2018. Getting onboard with Maxol’s ROSA coffee charity campaign meant that a 10-cent donation was made for every purchase of Maxol’s exclusive ROSA coffee, as well as tea and other hot drinks, in November and December 2018. Maxol’s fresh, quality ROSA coffee has been a hit with local customers and commuters alike and the two-month campaign saw their target donation of €60,000 exceeded. It follows a number of successful fundraising drives run by Maxol including a ‘top up your purchase’ initiative in August 2018 which raised a further €25,000. 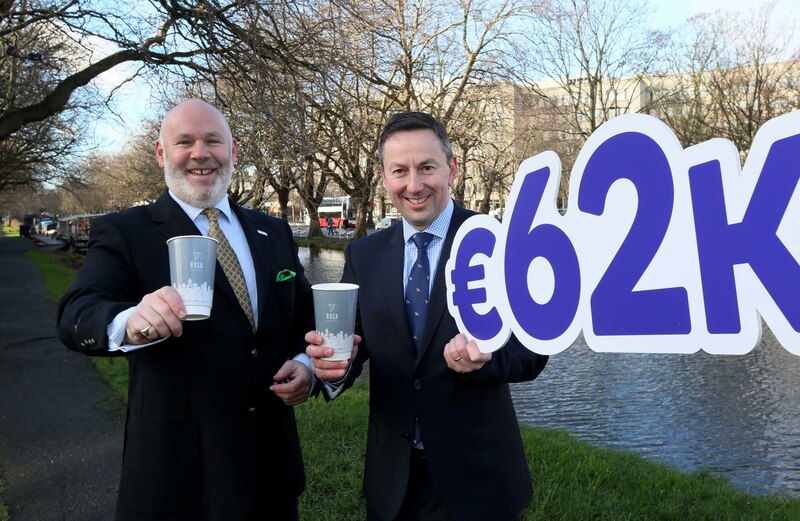 Maxol’s partnership with Irish charity Aware began in 2016. Aware provides support, education and information services for those impacted by depression, bipolar disorder and mood-related conditions. The goal of the partnership is to encourage positive mental health in communities in Ireland.